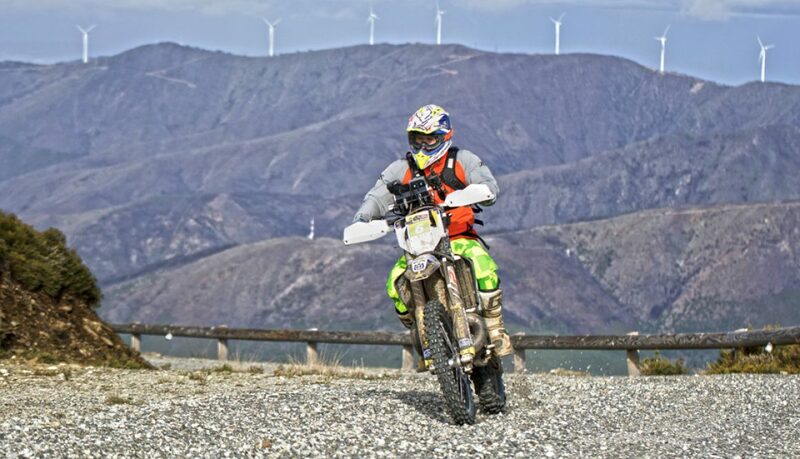 The 3rd edition of the “Tour of Portugal” roadbook rally took place in early April with 40 competitors from the UK taking part in a 3 day roadbook rally in the Pampilhosa district of central Portugal. Dave Chislett the Pro Rally Class winner. After almost 2 weeks of non stop rain in Portugal we were greeted with some finer weather at the start of the first day. The riders lined up to take their start minute and head out into the 208km course which was designed by Rui Matias and Mario Patrao, the Portuguese Dakar rider. Last summer had seen a number of large fires in the area, which came within metres of the hotel we use as a starting point so the course had to be rerouted and lengthened for 2018. This proved to be beneficial as the route covered much more challenging and varied terrain. 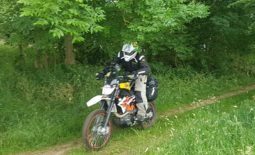 the navigation was also more a challenge as some of the leading riders were to find out. The first day took the riders over a number of mountain passes, with the highest being at 1600m, at this height any rain would turn to snow so the organisation team was keen to get the riders through the first 60km as quickly as possible. All the riders passed this point and enjoyed a fantastic ride across the ridge line of the mountain for 15km until the route passed into a new area which was more sandy and flowing in nature. 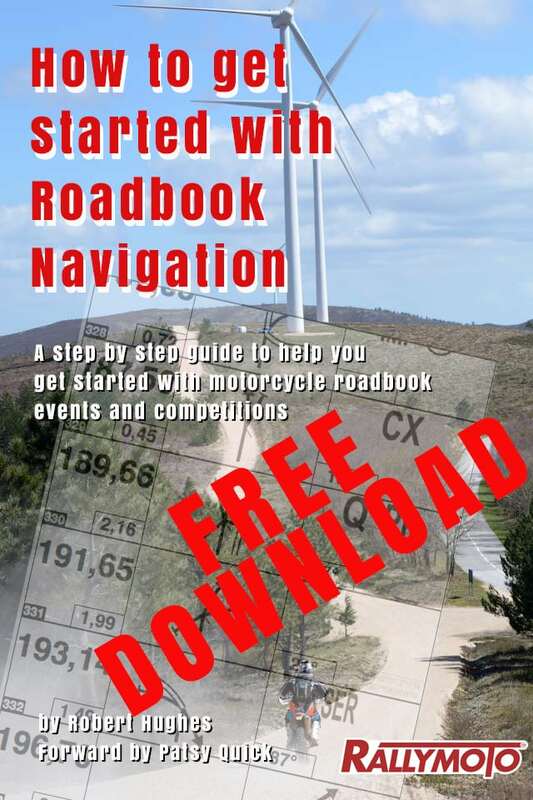 The roadbook was 208km long with 333 waypoints or direction changes so navigation was vital, with less than a kilometre between direction changes on average. In the Pro Class, which included 140km of the 208km course being timed saw Welshman Dave Chislett on a KTM450 take the day’s win with John Freeman, Husqvarna FX450, in second by only trailing by 1 minute and 30 secs, with Chris Barwick taking third, 4 minutes and 49secs off the leader. The Sports Class, which is based on navigation accuracy only saw the first three place riders very evenly matched with only .47km of deviation separating them. The second day saw another 200km plus day and once again a new route of mixed terrain and some spectacular single track through the mountains to test the riders.There was some tricky navigation, and a number of riders took the wrong track and this resulted in penalties and lose of time in a key stage of the day around the picturesque lake area. 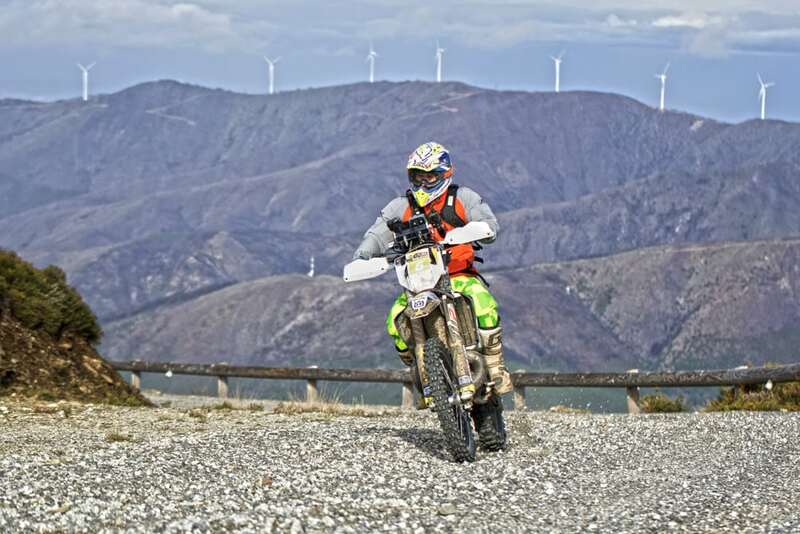 The last 40km for the Pro Class was a Baja style special stage on open, fast flowing gravel based tracks. Dave Chislett maintained his overall lead, but John Freeman made a navigation error which cost him dearly on time and he dropped to 21st place on the day two rankings. 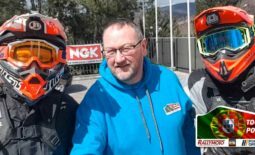 So the overall on day 2 was, Dave Chislett, Roger Hawkins on a Husqvarna 701, and Andrew Newland, who was getting back into racing after the Africa Eco Race in 2017. 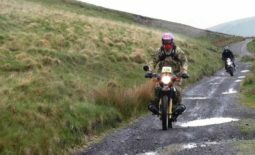 The Sports Class saw another Welshman shot in to the lead with a near faultless days navigation, Gareth”Araf” Davies headed the overall, followed by Keith Jarvis and Martin Baynes. Day 3 was a shorter day with only one stage for the Pro riders. The weather had changed and the rain and foggy conditions lead to poor visibility on the timed section. Robbie Wallace, new to rallying took the stage win convincingly over Andrew Newland and George Dennison. Dave Chislett played a calculated strategy and came 5th on the day, but with the over all time advantage he maintained the number one spot at the end of the rally. In the Sports Class, Gareth Davies took the win ahead of Martin Baynes and Mark Beattie.